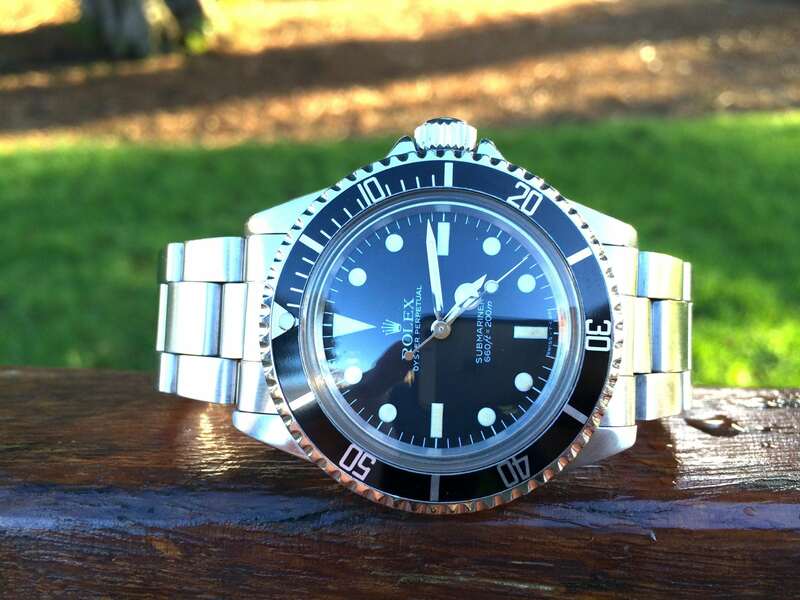 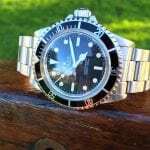 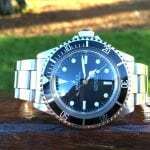 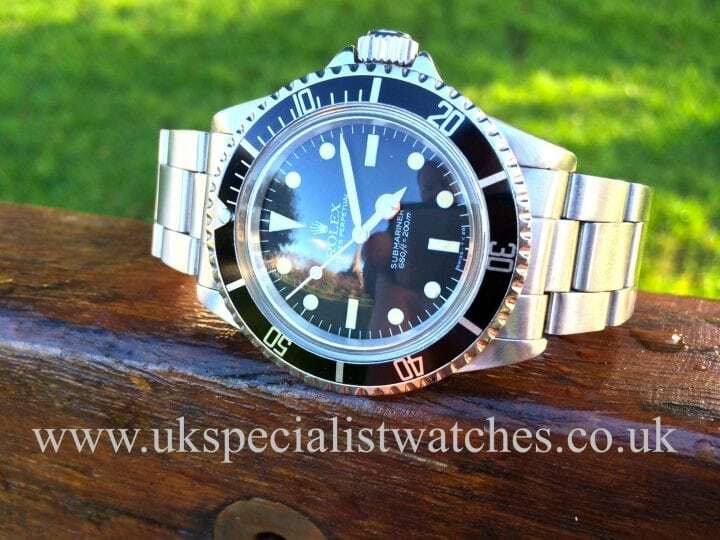 Rolex Submariner 5513 Oyster Perpetual fully automatic. 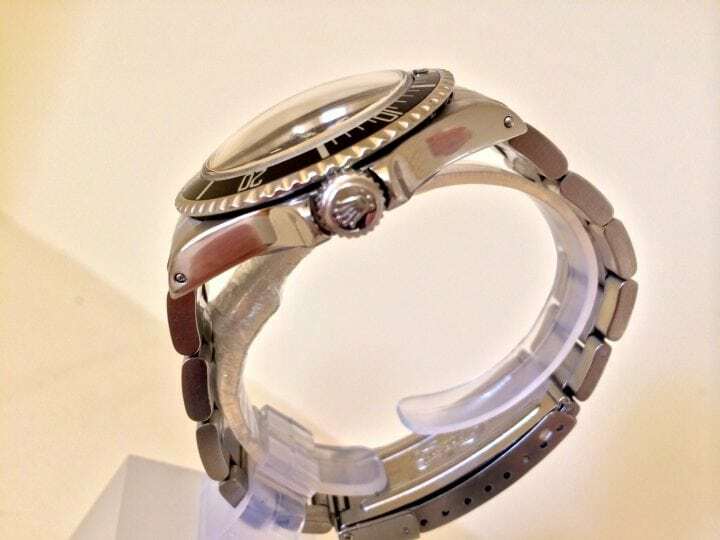 (Domed Glass) our watch has serial no.674— dating to 1980. 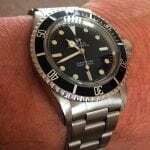 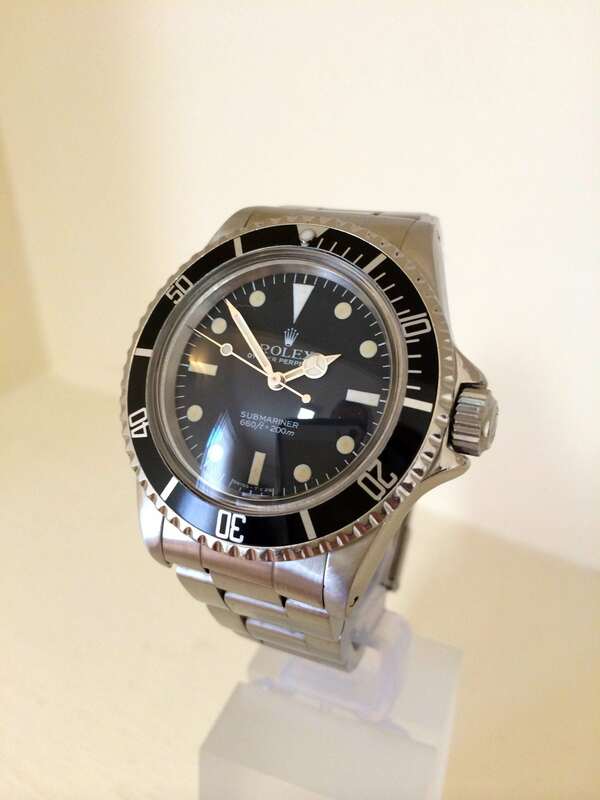 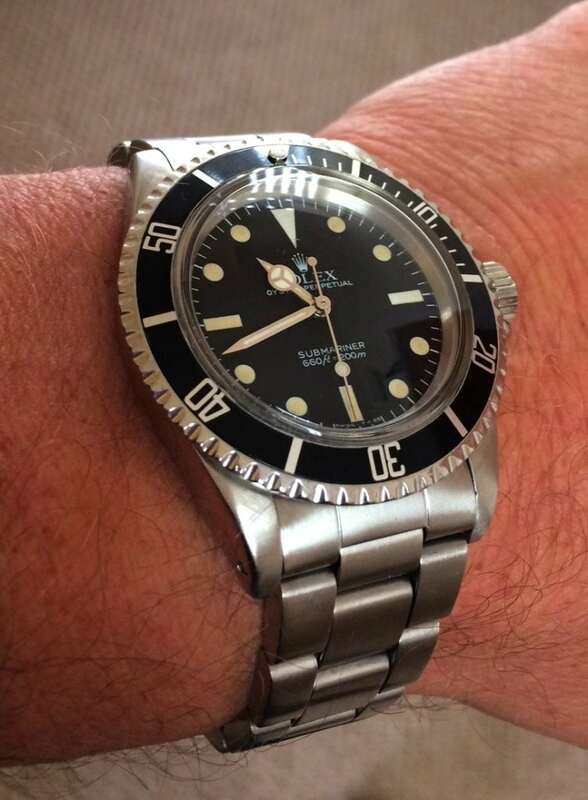 The 5513 James Bond Submariner seen in the film (Live and Let Die) The 5513 was introduced in 1962 and produced until 1990. 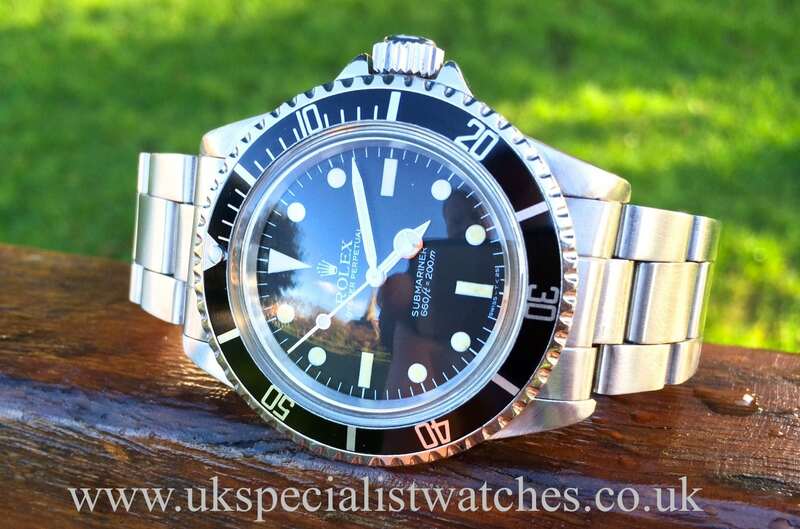 This model is certainly one of the most collectible Submariners with the simple classic original matt charcoal dial, nickname “Topper‘ because the name SUBMARINER was printed above the depth rating for the first time ever! This format remains to this day.Our piece is starting to show the gentle patina that collectors seek! 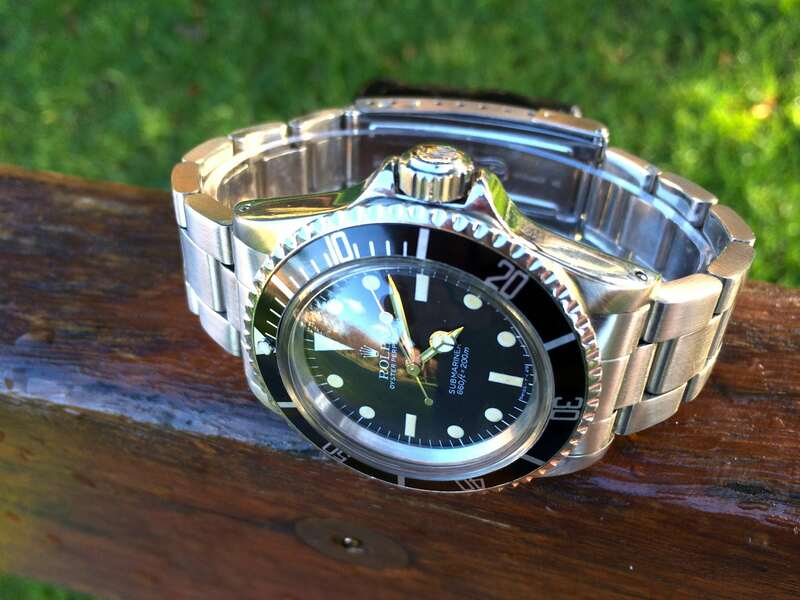 we expect that this dial was only in production for 1 or 2 years. More modern versions of the Submariner are often considered to be inferior to the 5513 especially this model that has the vey special domed crystal that is normally a much more squared off plexi glass,making this one of the most sought after & (collectable) models of the 5513. 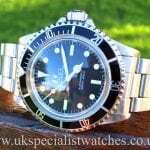 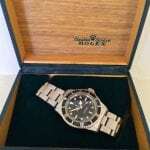 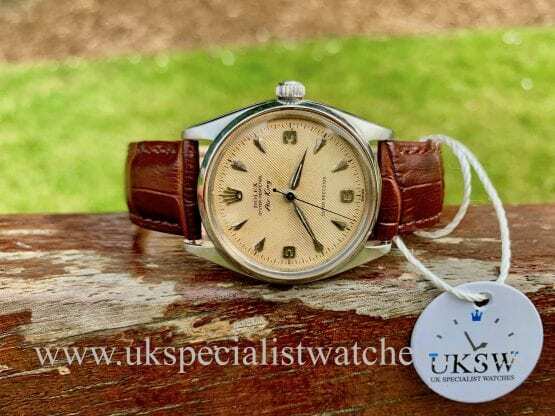 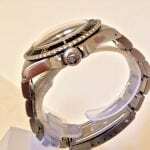 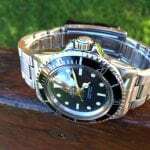 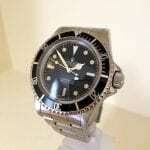 It is in totally original condition, fitted with its original stainless steel Rolex bracelet. 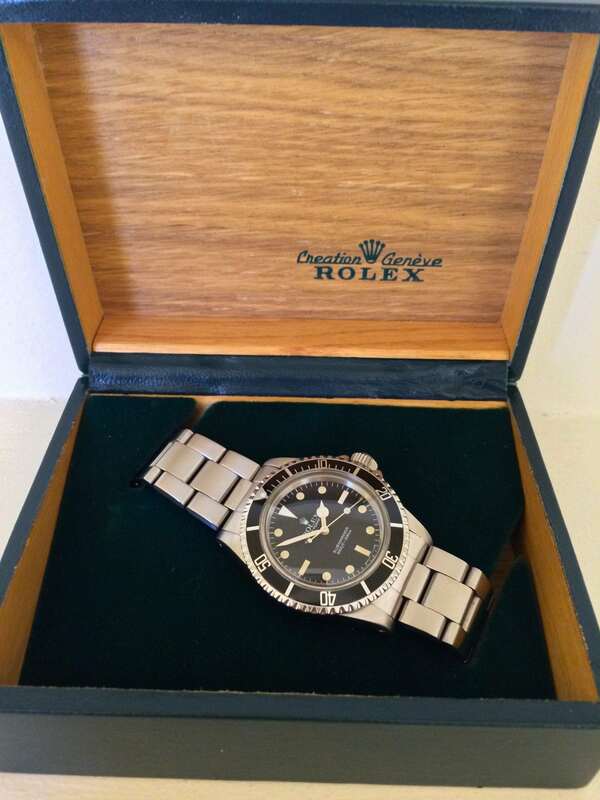 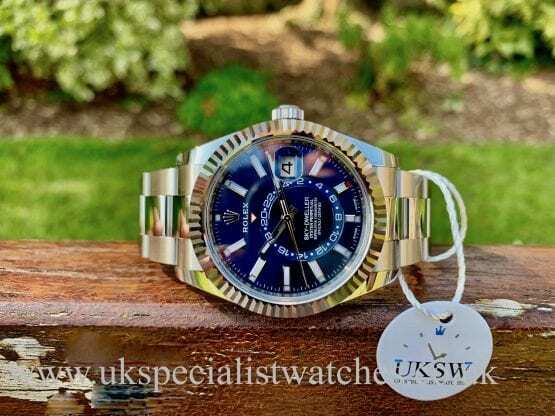 It also comes with its Rolex presentation box, just serviced by our watchmaker who has inspected, oiled and adjusted the movement and is running well and keeping excellent time.